Disruptive technology is not new by any stretch of the imagination – human history fairly overflows with disruption whether in government, warfare, business or society. But the pace of disruption is increasing, particularly as developing technologies become more and more practically applicable. The stories of disruptors such as Airbnb, Uber, and Netflix are well-known. Personally, I’m fascinated with the prospective disruption around self-driving cars, particularly the intersection of that technology and the as-a-service business model. Imagine the impact on multiple industries and lifestyles when one can simply pre-schedule automotive transportation. To commute to work. To take your spouse on a date. To go to college. And on and on and on. How many households will drop to one or even no cars? How many fewer cars will be sold to private owners? How will car companies respond to the potential for dramatically lower demand? Go a step further: How does housing design change when we don’t need two, three or even four car garages? Will this newly available space in existing homes be a boon for renovation contractors? Will the footprint for new homes be smaller leading to larger yard space or more homes in a neighborhood? Artificial intelligence and machine learning are also leading to massive disruption potential, we’re all experiencing it in a variety of ways, some obvious and some not so obvious. These examples and considerations are all at large societal or industry-wide scale. Take your observation down a couple of notches, to the company in a disrupted industry. Now take it down again to the people working at the disrupted company in the disrupted industry. That is where true change occurs, with the people doing the work. Changing processes, workflows, outputs, and metrics to meet a changing market. And that’s often where innovative responses to disruption opportunities fail, sustainable change at the very core of a business, its people. So I spoke briefly with Phil Swettenham, who leads Centric’s Organizational Change Management practice here in Cleveland. Brad: What are the most prevalent aspects of people and change that companies find most difficult to succeed at in disruptive times? Phil: Typically organizations overlook or underestimate the magnitude of change and the impact that the change will have on people. It is critical to take time to really understand how the change will impact business process, people’s roles and responsibilities and to develop a comprehensive plan to prepare people for what is coming, help them transition and then provide support as they get up to speed in the new environment. Brad: What are some of the most effective approaches you’ve seen implemented? Dedicated resources to the change leadership effort. Open and honest communications throughout the life of the project. Successful companies tended to communicate at least twice as much as they initially expected. Brad: How can companies encourage innovation by their people to disrupt or respond to disruption? Phil: Culture and social norms are the biggest obstacles to disruption or innovation. If the culture or organizational behaviors do not genuinely support and encourage free and creative thinking then it is difficult for people, and so organizations, to create innovative strategies or to respond to truly disruptive influences. Where I see organizations break free of this is by creating incubators, by removing people from the culture and setting them up in a separate environment to be imaginative. It is also important that leadership fully supports this approach for ideas to be able to take root. Technology disruption is incredibly interesting to me. In a prior role with OHTec, I organized the annual CIO Symposium and that topic was a frequent breakout session. Usually one of the more highly attended sessions too. The topic remains important today, probably even more so, and it’s something nearly all of our clients are dealing with in one fashion or another. As a result, we’ve put together an interesting panel session, The Reality of Digital Disruption, and we’ll be hosting it during OHTec’s upcoming Tech Week. My friend Phil will be on the panel along with a business process lead and a local CIO, sharing their insights into tech disruption. Brad is a Market Development Executive for our Cleveland team. His focus is on brand-building for the company through multiple channels and activities, including C-level interaction, content marketing, regional market engagement and more. 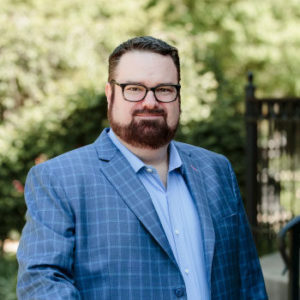 His specialties include: understanding and translating business needs to technology solutions, connecting clients to problem solvers and solutions, raising the profile of the company in our market.